It is entirely normal to have questions about the privacy and stability of offshore banking in Belize when other banking options exist. Recently, Luigi Wewege, Senior Vice President of Caye International Bank in Ambergris Caye, Belize, provided answers to many of these questions as part of a webinar on why Belize is the leading international jurisdiction for banking in Central America. Read on to find Mr. Wewege’s answers to top questions related to choosing Belize for your international banking needs. Typically, people research different countries when considering offshore banking. After all, your financial stability depends on choosing the right jurisdiction for your investments and offshore bank accounts. Belize may be a small country, but it is a top pick for international and offshore banking. Language – Belize is an English-speaking country which happens to also be the world’s official language of business. This means no language barrier when speaking to banking professionals and no translation concerns when dealing with important issues such as setting up an offshore trust account or financing a vacation home. Legal System – Belize’s legal system is firmly rooted in English common law. This means the legal system is similar to what you will find in the United States or Britain. Offshore investors to other countries often encounter complex legal systems, but this simply isn’t the case in Belize. Location – Belize is located in Central America which keeps it in close proximity to North America. This makes it extremely convenient for travelers in these locations to travel to Belize. Companies Act of 1990 – This spurred the transaction and growth of Belize as an International Financial Services sector. The Act has been extended and amended as recently as 2017 and its provisions attract investors from around the world. Belize has a stable growing economy, with a zero-tax regime and strong bank secrecy laws, which benefits people banking within the jurisdiction through increased privacy and confidentiality. There are also no exchange controls in Belize, which means that you can take out or deposit money at any time. Your banking information will always belong to you. Another key advantage to investors is that Belize is politically stable with a local currency that is pegged to the United States dollar at a fixed rate of two to one. This means that people who bank in Belize can have confidence that their money is safe, and that currency devaluation will not occur. Additionally, Belize asset protection laws ensure that bank customers within the jurisdiction who hold assets, hold under certain structures for example, IBCs and trusts, are protected from lawsuits, judgements, and divorce settlements. Besides the asset protection, investors can also feel safe when depositing their money in Belize because essential bank reserve requirements in Belize are at least four times the reserve requirements of those in the United States for their local banks. An example of this is Caye International Bank, which has one of the highest liquidity ratios of any global bank, and this is currently at approximately 24%. Why Choose Caye International Bank? Caye is the only international bank headquartered on the beautiful island Ambergris Caye. Its history begins in 1996 as a Belizean mortgage company. After continued success over several years, the decision was made for it to become an international bank. This was granted on September 29th, 2003 when Caye received an Unrestricted “Class A” International Banking license from the Central Bank of Belize. This license permits Caye to conduct financial services with both individuals and corporations located outside of Belize. Caye’s standing in the International Banking community makes it a leading choice for those who wish to pursue offshore banking and investing. Why Kind of Offshore Banking Options are Offered? If you’re searching for private offshore banking options in Belize, you’ll almost certainly gravitate toward the stability and range of financial services offered by Caye International Bank. For almost two decades Caye has offered a full range of traditional and nontraditional banking services, as well as accounts in multiple currencies. Demand Deposit – This account offers unlimited flexibility with transfers to and from your Caye bank accounts with a competitive interest rate applied to it. Lifestyle – This is also referred to as a Savings account. This type of bank account is for those who want the ability to be rewarded with great interest rates upon regularly saving each month. Term Deposits – This bank account allows customers to enjoy a fixed rate so that they know exactly what their investment is worth at any moment. When selecting a bank account, there are a few important things to keep in mind. There is a required minimum opening balance of USD $1,000. Bank interest rates vary depending on the term amount and interest payment frequency chosen as well as a foreign currency account selected. Customers access to any Caye International Bank accounts are operated online through a secure, 24/7 online banking system. What Kind of Offshore Financial Loan Services are Available? Bank accounts are just one of the service offerings available from Caye, and the bank also offers several other financial services to its customers. Perhaps you’ve long dreamed of owning a vacation home in Belize, or you’re hoping for eventual retirement in a beautiful, tropical location such as Ambergris Caye island. Home financing is available through real estate loans in five different currencies; United States dollar, Canadian dollar, Euro, British pound, and Swiss franc. Anyone hoping to purchase property overseas may struggle to find domestic financing. If banks and lenders don’t have jurisdiction where you’ll be buying property, they aren’t likely to offer you the loans you need. Caye International Bank customers don’t have that worry. For personal customers, the Bank offers condo financing, residential mortgages, and residential construction loans. For corporate customers, the Bank offers commercial mortgages, commercial construction, and land development loans. You can also explore financial services like the prepaid MasterCard, which lets you shop or pay bills internationally without the risks of an unsecured credit card. Available to both personal and corporate Caye International Bank account holders, the card can be preloaded with up to USD $10,000 at any time and can be used anywhere the MasterCard logo is accepted. Click here to find out more about the Caye prepaid MasterCard. An increasingly more popular service for the bank has been its Gold Loan Program. Caye’s program allows customers to store their gold in a secure facility in Zurich, Switzerland. Once stored in the vault, the Bank will then offer a line of credit for up to 75% of market value of the total gold stored within the vault. Find out more about how the Caye International Bank – Gold Loan Program works by clicking here. Caye also now offers the ability for bank customers to deposit their checks into their corporate or personal bank account with the benefits of fast, efficient check processing being drawn from any American financial institution, and to be able to receive timely notification and credit to their Caye bank account as soon as the check has been cleared. 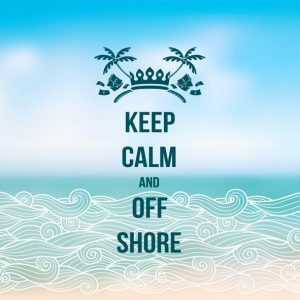 Is FATCA a Concern for Americans With Offshore Bank Accounts in Belize? FATCA, or the Foreign Account Tax Compliance Act, was enacted by the U.S. Government in 2010 to improve tax compliance by U.S. taxpayers. Under the Act, foreign financial institutions are required to report annually to the Internal Revenue Service (IRS) on the offshore accounts and financial assets of U.S. citizens. There are severe restrictions on financial institutions who opt out of complying with FATCA regulations, thereby putting their customers at risk. Caye International Bank is fully compliant with FATCA and has the correct safeguards and processes in place to serve all its U.S. clients as well as those non-U.S. clients who need to send money to or from U.S. banking institutions. Private offshore banking in Belize, particularly with Caye International Bank, is a smart choice for investors, retirees, and anyone interested in international financing. With a proven track record and by offering a range of banking and financial services, Caye successfully accommodates both personal and corporate customer bank accounts. Armed with the right information, you’ll be ready to take the next step toward a more secure and exciting financial future. Contact Caye International Bank today to get answers to your specific questions about offshore banking in Belize. This entry was posted on Monday, August 6th, 2018 at 10:00 am	and is filed under Offshore Bank. You can follow any responses to this entry through the RSS 2.0 feed. You can leave a response, or trackback from your own site.